Color: PurpleTealBlueBlackRedGrey This item is currently out of stock! Made when ordered here in our factory in Portland, Oregon, and winner of the Guides Choice Award, the CiloGear 20L WorkSack is recognized as one of the best packs for climbers in the world. 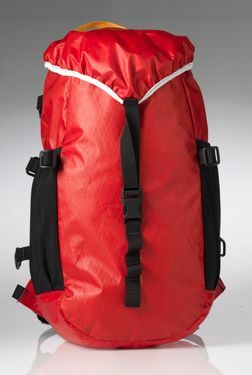 OutdoorGearLab.com calls the 20L WorkSack a Top Pick, and recommend "...the WorkSack for climbers.". The 20L WorkSack rides between your shoulder blades, well out of the way of any harness stuff, ski poles or anything else that might be going on. The same pack mates onto any other CiloGear pack as an accessory pocket, and totally outperforms any other detachable pack or "lid/hip bag" monstrosity for hiking, scrambling or skiing. Secured with a zipper, the Ninja pocket is big enough for your altimeter and energy bars for summit pushes or keys, sunscreen and your wallet for those high stress trips to town. We provide two removable straps and a sternum strap. No hip belt.